THERE is a mountain named after him in Canada and a market square in France – but until recently little was known of First World War hero George Burdon McKean VC in his birth town of Willington. Nine years ago, Allan Newman, of Darlington, helped change this by producing a short biography shedding light on McKean’s incredible life. And now, as the 100th anniversary of the end of the First World War approaches, plans are being finalised for the installation of a memorial stone next to Willington library. Greater Willington Town Council (GWTC) will unveil the stone on April 28, 2018, the centenary of the gallantry which resulted in his receiving the Victoria Cross. 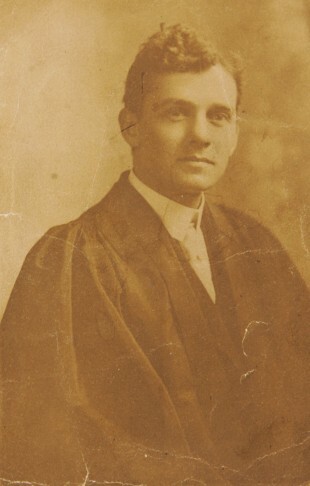 The son of a furniture broker, McKean was born in Willington High in1888, with his condition described at birth as ‘delicate.’ In fact, the 5ft 6in hero, who emigrated to Edmonton, Canada, in 1902, was turned down for the Canadian Expeditionary Force three times before being finally allowed to enlist in January 1915. But it did not take long for him to make his mark. In 1917, as a corporal in the infantry, he was awarded the Military Medal for his bravery in several operations. And in 1918, he received the VC, the military’s highest and most prestigious award for gallantry, in recognition of his conduct in the Gavrelle Sector in France. The 29-year-old and his party had been held up in the communication trench by intense fire. McKean ran into the open, leaping over the block head first on top of one of the enemy. He managed to shoot the man, and another soldier brandishing a bayonet, and capture the position. McKean then sent back for more bombs and attacked a second block, killing two of the enemy, capturing four others, and driving the remaining Germans into a dug-out, which he destroyed. Four months later, McKean received further honours, this time the Military Cross. He is one of just five men to win the three awards and has become a folk hero in Canada. After the war McKean settled back in England and married Constance Hilton in Brighton. The couple had a daughter and McKean ran a saw mill, where he tragically lost his life aged 38 in an accident involving a revolving saw. His death made the front pages in Edmonton, but only afforded four paragraphs in The Northern Echo. If McKean’s achievements have been historically overlooked in the UK, Mr Newman’s book helped rectify this. GWTC now hopes to build on this, ensuring every schoolchild in the town knows his name. In 2013, the Government announced plans to lay commemorative stones in the home town of every Victoria Cross holder, with McKean among the eight listed in County Durham. His stone is now ready to be installed and almost £28,000 of funding has been secured from the Heritage Lottery Fund, the 3 Towns Area Action Partnership, GWTC and county councillors Fraser Tinsley and Olwyn Gunn. GWTC is also working alongside organisations such as Beamish Museum to ensure the day of the dedication ceremony is unforgettable. The event will include a parade, military vehicles and a First World War experience day, bringing together residents of all ages.